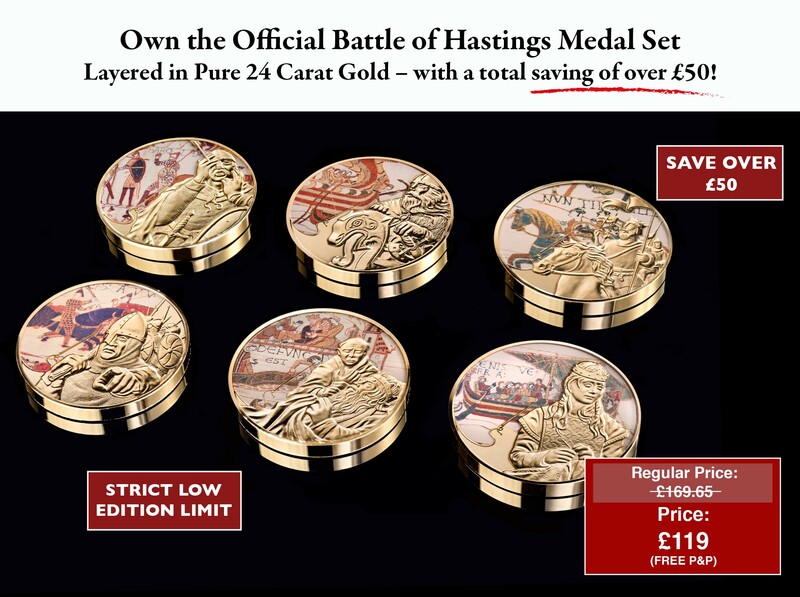 Claim your Battle of Hasting Set today for only £119 (FREE P&P) - less than £20 per medal! 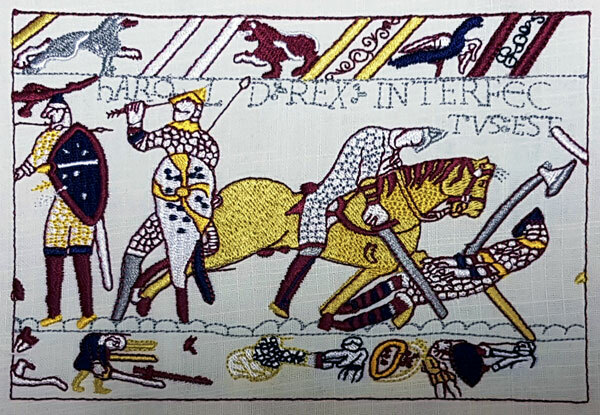 The first customers to secure their Battle of Hastings Medal Set will also receive the Bayeux Tapestry Embroidered ‘Arrow’ Scene as a free gift at no extra cost (usually £19.95). Please note that these are only available while stocks last.